Discussion dans 'Les actus.' démarrée par manuraptor, 19 Novembre 2017. This is a big and exciting release! It is jam packed with brand new cars, a brand new track, entirely new track configurations, brand new racing formats, and a truck-load of our usual fixes and updates. We are very excited, and we hope you are too! Full 2018 Season 1 Release details are below. Happy Holidays from all of us at iRacing, and have fun out on the track! - iRacing now has four unique License Classes! - - Each of the four licenses are completely separate from each other, and you will have your own Class, iRating, and Safety Rating in each. - - There is one license for each type of racing available: Oval, Road, Dirt Oval, and Dirt Road. - - - Your initial Dirt Oval License Class was granted to you based on an algorithm that took into account both your 2017 Oval License Class, and your 2017 participation in Official Dirt Oval races. 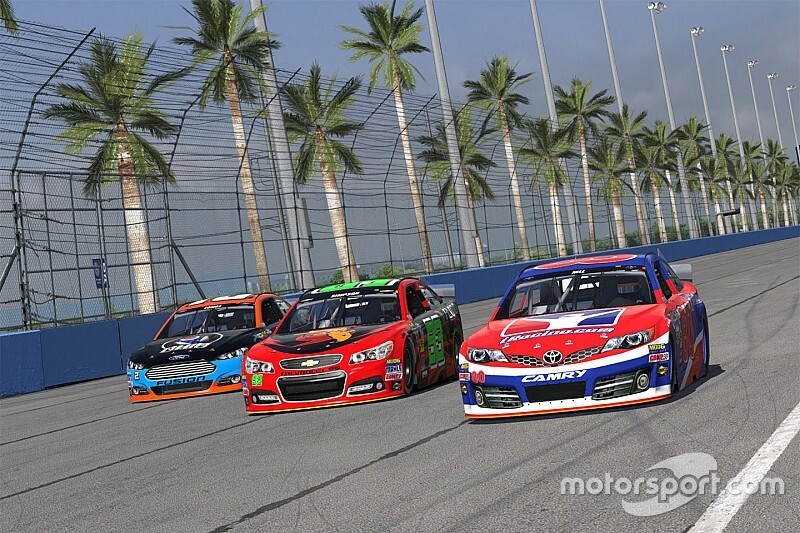 - Heat Racing, a new format of racing competition has been added to iRacing! - - Heat racing is a system of competition that divides racers into different groups, or Heats, based on their qualification performance. Each Heat has its own winners and losers, and the best racers from each Heat will go on to compete against each other in the final session, the Main Event. Before that, the other racers from each Heat will go on to Consolation Races, where they may have a chance to earn themselves a spot in the Main Event! - You are able to create and join your own Hosted Sessions using the Heat Racing format! - - This option is only available in the iRacing Beta Interface! - - - - Click on: "Go Racing", then, "Create a Race", then, in the "Set Race Options" section, for the "Event Type", select "Heat Racing". Then, select one of the different configurations in the dropdown and finally purchase your session and join! - - Session time and price are calculated using the maximum possible value for the number of entrants, which would yield the maximum number of Heat sessions being run. Thus, the time is an estimated total of the time limits for each of the predicted sessions plus a small buffer to account for session transitions and gridding times. - - The cost for purchasing a Hosted Heat Racing Session has a 25% discount in addition to any other bulk discounts you may already recieve. - The in-Sim Race Results page has been reorganized to handle Heat Racing events, which can have many more sessions than just Practice/Qualify/Warmup/Race. If necessary, you can now scroll the Results left/right to reveal the results for the particular session of interest. Since all cars in the event are listed, yet only a subset of them actually drive in some of the sessions, you can sort the results for a particular session, thus grouping the cars that participated together, and pushing the cars that were not involved in that session to the bottom. - A physics overhaul has been performed on our asphalt oval cars! - The default value for the starting track state for Dirt Ovals in a Race session has been lowered slightly for most cars, and has been lowered significantly for the Non-Winged Sprint Cars. This change will affect Official Sessions and any hosted sessions where the starting state is not explicitly specified. - The default value for the starting track state for Dirt Ovals in Test, Practice, and Unattached Qualify sessions has been increased to make these tracks more closely match typical starting race conditions. Overall, you should expect the track for a Dirt Oval Practice session to have nearly the same starting usage as a Race session for the entry-level Dirt Oval cars. - The variability in default starting track states for Dirt Ovals has been increased, meaning that when a starting usage value is not explicitly given, the distribution of generated usage percentages is wider. This will result in more variety in starting track state in Official Sessions and any hosted sessions where the starting state is not explicitly specified. - Dirt Oval Track surface properties have been adjusted to reduce traction. - Welcome to the world of Rallycross! - - Rallycross is a form of racing that combines asphalt and dirt track sections into a short circuit, that also includes a dirt jump. There are limited penalties, no pit stops, and cars designed specifically for this racing format. - - Rallycross cars and tracks have been added to the iRacing repertoire! - On the "Host A Race" page on the membersite, when a track with a Joker Lap (currently only Rallycross tracks) is selected, a new option for selecting the "Number of joker laps" is displayed. Additionally, Full Course Cautions and fast Tows are both completely disabled, and Standing Starts is mandatory. - Headlights can no longer be disabled on Road courses at night. - The in-car slowdown penalty display now rounds up to the nearest tenth, so that "0.0" is never displayed for time remaining. - Improved the method for calculating simulated tire activity during track initialization. - A new water shader has been implemented at Daytona circa 2007. This shader replaces the formerly static water effect with one which is reactive to the wind and uses current lighting techniques. - - Please look forward to this water shader seeping into other tracks later this season! - A new Ambient Volume slider can be found in the Options menu. This will control sounds like fireworks and jet fly-overs. - Fixed a bug that was causing backfires to emit at the wrong location when watching a replay. Backfires and shift sound emission should now also stick to the car, rather than Doppler shifting away when viewing from inside the cockpit. - A brand new Spotter Pack, Cole Carter, the official spotter for Scott Speed, is now available in iRacing! - - This Spotter Pack is ready to assist in all types of racing, including all calls needed for Rallycross racing! - - - You may select which Spotter Pack iRacing uses in your Audio Options menu. - The default Aussie Spotter is ready to assist with Rallycross calls. - - Other Spotter Packs (except Cole Carter), are currently not setup to perform Rallycross calls. - iRacing has now finished hiring and training a highly experienced and fully animated pit crew to service some cars and trucks! - - - This super-fast and hardworking team will jump into action whenever you're pitting with one of the above vehicles on a track where that vehicle should be racing competitively. - War wagons for many stock cars have been updated! - - The war wagons should now have more detail, and randomly opened toolbox doors. - Opponent car spec data has been updated for ALL cars. - - The results of this change may be visible on timed penalties (such as cutting corners). An accurate car spec is required to determine the amount of time gained by cutting a corner and hence the appropriate penalty. - Fixed an issue with the way some cars looked due to an error in weight distribution. - Improved font handling when painting cars. - Added the ability for the Sim to ask, within a radio script, whether or not the current session is either a Qualify Session or a Race Session (qual_or_race), or if the current event is a Heat Racing event (heats). - - See the "readme.txt" file located in your My Documents/iRacing/scripts/radio/ directory for more information. - Changed the default "StartDriving.txt" and "StopDriving.txt" radio scripts to mute/unmute @ALLTEAMS if "qual_or_race" is true. - A gold hand brake overlay has been added over the normal red brake bars shown during calibration and when in or out of your car. - - This overlay will only be present for our brand new Rallycross cars: the Ford Fiesta RS WRC, and the VW Beetle GRC. - Fixed an issue where mirrors and environment maps were rendering with the incorrect cameras when Oculus Rift or Vive was active. - More telemetry variables are now optionally available to output at 360 Hz to the ".ibt" file. - The iRacing telemetry now includes a "NumJokerLaps:" property under "WeekendOptions:" that indicates the number of required Joker laps that must be taken in any race session. - The iRacing telemetry now includes a "JokerLapsComplete:" property for each "- Position:". - Fixed a bug in telemetry session string "CurDriverIncidentCount," output. - Fixed a telemetry bug that caused DRS lights to track the last car to join the session. - The iRacing Beta Interface, which includes the Time Attack race mode, has been updated. - The iRacing Downloader is now fully integrated and functional within the iRacing Beta Interface, and no longer needs to direct the user to the iRacing membersite via a web browser. - The "Recent Results" section of the iRacing Beta Interface is now fully functional! - - This section will display results of all kinds from the past 24 hours. - The "Sign Out" section that was in the bottom-left corner has returned to the top-right corner, and is now a dropdown menu. - The "My Content" section has been folded into a dropdown menu that appears when you click on your profile name box in the top left corner. - - - This section includes where you can view the Cars and Tracks you own, as well as your Racing Suit and Helmet. - - - Within the Cars and Suit & Helmet sections, you can also access the Paint Kit to customize each item. - - The side-bar action buttons under the "Go Racing" section for "Create a Race" and "Test Drive" are now toggleable, and can be managed in the "Settings" menu. They have been turned off by default. - - Fixed an issue where some dropdown menus were dropping down behind other interface elements. - - The gutter between items in the grid view has been reduced, leaving more space for text. - - Overall style has been tweaked. - - The term "Ranked" has been changed from a Tag into a Category for sorting and filtering. - - When filtering or searching, if no results are found, the "No Results Bar" should now always appear. - - The default "no results" text has been updated. - - Fixed an issue with sorting cars and tracks. This should now work properly. - - Both the "My Cars" and "My Tracks" sections should now sort items by "Name" by default. - - Both the "My Cars" and "My Tracks" sections should no longer show Unowned content. - - The Store should no longer show Owned content. - - The method for determining if you own a piece of content has been improved. - - The toggle for Favorites should now work again for all Car and Track lists. - - Fixed a rendering issue with the Favorite Star when selecting a car or track. - - Now, up to 10 sessions will be displayed for Official Sessions. - - In the Create a Race modal, selecting a different Race Server now updates the server name. - - In the Create a Race modal, the purchase cost amount should always be correctly displayed. - - In the Create a Race modal, the "Track State: Rubber % Slider" has been fixed. - - The modal for joining a Hosted Session now displays the currently Registered Drivers. - - Fixed some issues with the Weather Card when viewing the information for a User-Created Session. - Some additional information has been added to the Time Attack section. - The term "Ranked" will now pertain to Official iRacing Sessions in which a participant's iRating and Safety Rating will be affected. - - The Dirt Midget has been added to the iRacing virtual garage! - - This vehicle is now available for purchase in the iRacing Store. - - Originating in the United States in the 1930s and now raced on a global scale, the Midget cars are an incredibly fun spectacle to witness. These cars appear very small but pack a huge power-to-weight ratio and typically run four-cylinder engines. The cars feature a handful of safety features including their own roll cages due to the dangerous nature of their power. The small vehicles weigh in around only 900 pounds but carry engines capable of 300 to 400 horsepower. Often used as a stepping stone to high profile divisions, Dirt Midget races can often feature drivers of high notoriety such as Tony Stewart, Kasey Kahne, Kyle Larson, and others. Arguably the most famous Dirt Midget event, the Chili Bowl takes place in early January at the Expo Square Pavilion in Tulsa, Oklahoma. - (ALL) - Aero sensitivity to top wing angle and position has been adjusted. - (ALL) - Adjusted suspension geometry to promote more realistic body pitch / roll motion. - (ALL) - Legal CW limits are now bound between 42% and 49% in the garage. - (ALL) - Season setups have been updated. - Fixed an issue where the brake bias adjustment knob was rotating on opponent cars. - Pit scripts have been updated so re-fueling and tire changes take place simultaneously per expected WEC sporting regulations for the 2018-2019 season. - - The Ford Fiesta RS WRC has been added to the iRacing roster of vehicles! - - The ability to go 0-60mph in under 2 seconds is a phenomenal feat. Probably not a feat you would expect your friendly neighborhood Ford Fiesta to achieve. But take that Fiesta and pack it with a 600-horsepower, turbocharged 2.0-liter engine powering all four wheels and that is exactly the kind of acceleration you get. Rallycross cars are little beasts unlike any other vehicle, and the Ford Fiesta RS WRC is no exception. Driven by Steve Arpin in the Red Bull Global Rallycross Series, this vehicle transitions from dirt to asphalt and back to dirt seamlessly. - Updates to ensure the rear tires will spin at launch when launch and traction control are disabled. - Tire damping has been increased. - The windshield banner is now part of the body texture, and should be editable by the user. - - Suspension adjustments for better height control. - - Additional shock damping. - Fixed an issue with cockpit windshield reflections. - Fixed an issue with Left-Front toe range. - Fixed an issue with chrome on the chassis and windshield. - - The VW Beetle GRC has been added to the iRacing roster of vehicles! - - This vehicle is FREE for all iracing.com Members! - - A little buggy that packs a big punch, the Volkswagen Beetle GRC crosses asphalt and gravel effortlessly with its turbocharged, four-cylinder engine. Championed by Red Bull Global Rallycross driver Scott Speed, his 560-horsepower machine has proven to be a formidable powerhouse, winning three championship titles in a row (2015, 2016, 2017). The all wheel drive Beetle can accelerate from 0 to 60mph in just two seconds, meaning you’ll be putting the transversally mounted, six-speed racing gear box to good use right off the starting grid. This Volkswagen Beetle GRC features a retro form that pays homage to the original Volkswagen Type 1, the longest-running and most-manufactured car of a single platform ever made. - Track settings have been adjusted to better correlate to real world lap times. - (Oval) - Track settings have been adjusted to better correlate to real world lap times. - Fixed an intermittent crashing error at this track. - - A new Rallycross configuration (Rallycross - Long) has been added to this track! - - A new Rallycross configuration (Rallycross - Short) has been added to this track! - - All members own this track by default, and these new configurations are now available for use. - - A new Rallycross configuration has been added to this track! - - A member who already owns or purchases this track gains access to this new configuration. - - Knoxville Raceway has been added to the digital landscape of iRacing! - - This track is now available for purchase in the iRacing Store. - - Located at the Marion County Fairgrounds in Knoxville, Iowa, USA, this half-mile dirt oval raceway is revered as the “Sprint Car Capital of the World”. Every August the Knoxville Nationals, the paramount sprint car event in the United States, is held at Knoxville Raceway. The event takes place over two days and now features a nearly one-million-dollar prize purse. The track was originally built in the late 1800s as a horse racing venue and has progressed from racing stock cars to modifieds to supermodifieds to its current sprint cars. - - All members own this track by default, and this new configuration is now available for use. Xandreela, Joemax et Kronospost aiment votre message. Déploiement 2018 Season 1 Hotfix 1 à 15h00 aujourd'hui jeudi 7 décembre. This small release is designed to fix some of the issues introduced with our 2018 Season 1 Release earlier this week. - Heat Racing is now considered a Session Type within the Popular Races Guide. - Heat Racing Sessions for Series and Hosted are now additionally indicated with a flame icon. - The "Launch Beta UI" buttons will now check your Sim version to see if it needs updates before launching the iRacing Beta Interface. - Fixed an issue that was causing the Consolation Race(s) to be skipped in some Heat Racing events. - If only one person has not advanced to the Feature Race when the Consolation Race(s) are reached, the Consolation Race(s) will be skipped. - If nobody is actively competing in a Race Session in a Heat Racing event, that particular Race Session will end early, so that the Heat Racing events can continue. - Pit lane will now use Stall 0 for Qualification sessions if no stall is defined for that session. - The default starting track state for Dirt Oval Heat Races has been increased slightly, and the variance has been expanded. - Fixed the "ResizeBuffers()" crash that has started happening with the Windows 10 Fall Creator's Update. - Jump-start rules have been adjusted to include the amount of time the start was jumped into the penalty. - Fixed an issue with refueling pit stops taking 25 seconds. - Fixed an issue where some Spotter calls were causing application crashes. - Handbrake calibration will now favor an analog input over a button input when available. - Removed some unnecessary blank lines from telemetry session string. - Local/Full-Course Cautions can now be set for User-Created Races. - Lucky Dog can now be set for User-Created Races. - User-Created Rallycross races now default to necessary settings (ie: Local Cautions / Standing Starts). - User-Created Rallycross races can now set the number of Joker Laps. - Fixed an issue with track selection while making a User-Created Race. - Fixed an issue with the Test Drive button when used from a Race Series window. - (Rallycross) - Added some additional trackside objects to help direct the course flow. - A new pyrotechnics master has been hired at Knoxville Raceway. - (Rallycross) - The Qualification Session stalls have been removed from the Oval pits, and set to where they should be for Rallycross. - (Rallycross) - Some tire barrier locations have been adjusted. - (Rallycross) - The track bumpmap has been adjusted. - (Rallycross) - Fixed a minor dirt graphical issue in the righthander. Rick Hard et Kronospost aiment cela. Merci Manu de ces précisions si précise !! This update contains a variety of fixes and adjustments for the 2018 Season 1 iRacing Season. - Updated the Help section with Rallycross information and About Teams information. - Fixed a bug that was preventing the new Dirt Oval and Dirt Road license types from showing up under a Member's stats under Career Stats and Yearly Stats. - Fixed an issue that was preventing Heat events from honoring the separate caution type selections for their Qualify, Heats/Consolations, and Feature race. - Drivers that were in the starting grid for a Race Session, but did not participate in the session, are now tacked-on to the end of the Race Session's results (after all drivers that did actually compete) in their relative starting grid order. Previously, such non-starters were tacked-on in order of their iRatings. - Jump-Start penalties now double the severity penalty that was added last week. - - The penalty is now the amount of time a racer jumps, plus 10 seconds. - Fixed a bug where an entire lap could be cut by looping around the finish line checkpoint so that a racer could hit the same checkpoint twice in a row (this could be done at Daytona's Rallycross configurations). This would compute a time-gained of 0 seconds instead of the entire laptime, resulting in only getting penalized by the base 15 seconds amount instead of roughly 70 seconds. - The track reference line processing code used by opponent cars has been updated to remove some quick jitters or slow-downs at seemingly erratic locations along some tracks. - Fixed an issue where tire smoke could sometimes appear green at night. - Fixed an issue where the pit crew would continuously try to restart a pit stop if the tire pressures were set to a different value (blue) but were not checked-off, potentially locking a car in pit lane indefinitely. - Fixed an issue where an entire pit stop was being canceled when only the first fuel can was being canceled. - Fixed an issue where optional repairs could continue to be performed even after a pit stop was completed. - The animated pit crew's "pit stop finished" sound will no longer trigger for pit stops that do not feature the animated pit crew. - Fixed an issue where the Rallycross cars could not get into Reverse Gear if the Auto-Shift Driver Aid was enabled. - Brake system has been updated. - Nose collision elements have been moved upward to prevent bottoming at low ride heights. - Maximum ride height has been set to 6/6/8/8 inches. - Camber range has been increased. - The dashboard read-outs have been updated to work better with Imperial units. - (Rallycross) - Race Control has been updated for this track configuration including adjustments to and adding additional checkpoints and fixing issues with cutting the Joker. - The dirt properties of the berm have been adjusted so it should act more like dirt hardpan and have reduced grip as was intended for this track. - Improved variability in the initial track state for this dirt oval. - (Rallycross) - The Joker exit has been adjusted by removing the gain-time checkpoints, and extending the protective wall. Additional dirt has also been spread wide into the former off-track area. - (Rallycross) - A gain-time checkpoint, and some barriers have been added to the right-hander. - (Rallycross) - A bump at the exit of the starting grid has been adjusted. Rick Hard et Joemax aiment cela. - The Order History page of your Account now displays a note that all dates use GMT. - - Additionally, when viewing a specific order, the date and time should now be labeled with "GMT" for clarity. - Fixed a bug that could cause the Simulator to crash when transitioning from one session to another while remaining in-Sim (for example, by transitioning from an Open Practice server to the Race server for which you registered). - Fixed an issue with the rendering of wheels and tires at night tracks with Shader Detail settings set to LOW or MEDIUM. - Track objects should now only have their "home position" set when the very first session of an event launches. Then, whenever any subsequent session within the event begins, track objects should be reset to their original home position; not wherever they ended up at the end of the session. This should avoid the issue where tire stacks or other objects were starting subsequent sessions in strange places like on the track surface. - Lap time computations are now more aware of dirt being on the track, and how dirt affects speed and lap times. - - Gained time penalty behavior and other race control systems should now be much more accurate. - The car-to-car contact incident point threshold for Rallycross events has been reduced to a level that is more sensitive than Dirt Ovals. - A new race points payout system has been implemented for the iRacing Grand Prix World Championship Series and the Blancpain Endurance Series World Championship for the 2018 season. - Fixed an issue where cars were getting jacked up while on pit lane. - You can now ask for fuel at any point during an animated pit stop. - Fixed a bug that was causing the race servers to record out-of-range temperatures. - Fixed the default channel in the "StartDriving.txt" file so that the radio script does not switch you to "@drivers" when you start driving if it is a driver-change session. - Fixed an issue in the F2 Black Box where a car's number and time displays were using incorrect colors, which could make some of them difficult to read. - Fixed an issue where a track could load the wrong custom camera set when switching cars or tracks when using the iRacing BETA Interface. - Updated the SteamVR SDK from 1.0.6 to 1.0.11. – A possible fix is in place for when the HTC Vive head tracking fails for some customers with recent nVidia drivers. – A new prediction mode setting in the “OpenVR” section of “rendererDX11.ini.” file has been added. By default, “PredictionMode” will be set to 1, which predicts the head pose when the rendered frame will be displayed using timers, the same as with previous versions. But, set this to 0 to disable the prediction completely (NOT RECOMMENDED), or set this to 2 to always predict the frame to be displayed at a constant time in the future (This time is equivalent to just over 1 frame when the Sim is running at 90 fps), to eliminate the timing code (better than disabling completely). - The iRacing Beta Interface taskbar icon has been replaced with the original iRacing icon. - (Limited) - This car has been re-bodied to include a spoiler. The aerodynamics map has been updated to match. - (Limited) - Season setups have been updated. - Static front-to-rear weight distribution has been adjusted to best match that of typical real-world National Series sanctioned events. - Fixed a bug causing occasional graphical steering oddities at full steering lock. - (ALL) - Fixed a bug where axles were failing due to light contact. - (ALL) - Fixed a bug that was causing occasional graphical steering oddities at full steering lock. - Improved lower Level-of-Detail models to alleviate excess popping when viewed from a distance. - (Rallycross) - Fixed some bumpiness at the Start/Finish line. Rick Hard, dfabrice26 et Kronospost aiment votre message. L'association des équipes de NASCAR planifierait le lancement d'une nouvelle ligue officielle et professionnelle sur iRacing. La Race Team Alliance, qui est composée de quelques unes des écuries les plus influentes de la NASCAR, est en train de monter, avec l'aide d'iRacing et de la NASCAR, un championnat professionnel sur la plateforme américaine. 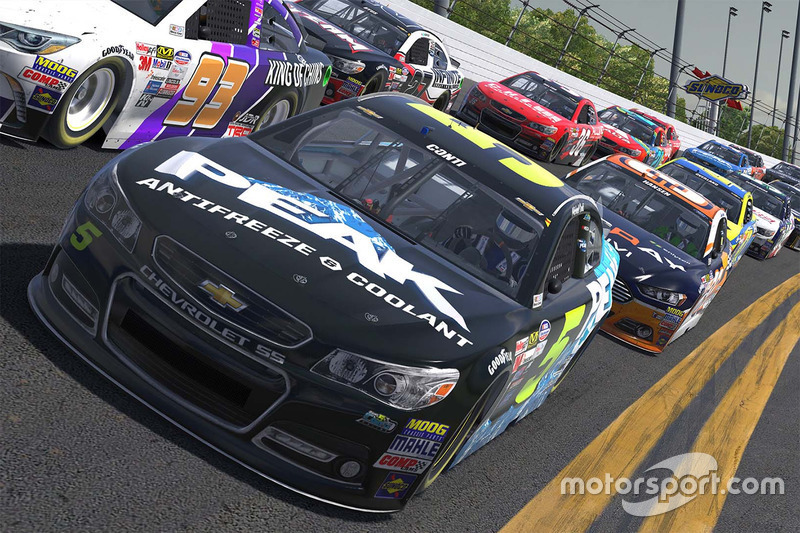 La NASCAR est déjà présente sur iRacing, avec l'organisation NASCAR Peak Antifreeze Series, championnat officiel où le vainqueur se voit récompensé d'un chèque de 10'000 $ et d'un voyage à la dernière manche de la saison, sur le Homestead-Miami Speedway. Contrairement aux initiatives mises en place ces dernières années par la Formule 1, le MotoGP ou encore le WRC, la compétition ne sera pas ouverte au plus grand nombre. En effet, la répartition de la trentaine de baquet (un par voiture d'équipe membre de la RTA) devrait se faire sous forme d'une draft. Ainsi, un groupe de trente des meilleurs simracers sur la plateforme sera constitué, et chaque équipe viendra en sélectionner un, tour par tour, jusqu'à ce que tous les baquets soient occupés. Il est fort possible que chaque voiture adopte la décoration utilisée par l'équipe engagée dans le championnat réel. Ce nouveau championnat ne semble pas parti pour débuter avant le Daytona 500, manche d'ouverture de la saison de Monster Energy NASCAR Cup Series, le 18 février prochain. Il devrait toutefois démarrer dans le début de la saison 2018. La possibilité d'une telle compétition (dont les gains pourraient s'élever à un total de plus d'un million de dollars, payé par les écuries) amorce un nouveau virage dans le simracing. Si ces dernières années, il était plutôt concentré sur la capacité de créer des événements ponctuels offrant à tous la possibilité de vivre un moment unique, la volonté de la Race Team Alliance est ici de professionnaliser le domaine, et de permettre à certains d'en vivre tout au long de l'année. - Fixed a bug that could very rarely cause the Simulation to crash, while loading data at the beginning of a session. - Optimized several operations within the race server code. Some of the optimizations reduce the CPU load on the race servers throughout the session. Some of the optimizations have their greatest impact at the start of the event (when people are first connecting), and during session transitions (For example: when a Qualify Session transitions to the Race Session). While the troubles with the recent 24 Hours of Daytona event were not due to the race servers being overloaded, there have been other events where some splits have experienced issues (lots of Skew and cars blinking) at the start of the event. That Skew and blinking was caused by excessive CPU usage within the race servers from handling so many new connections in such a short period of time. - This Patch includes some preliminary 2018 Season 2 GT3 balance updates. - - There is bound to be some additional adjustments prior to the start of the next GT3 seasons, but this is a new starting space in advance of the 2018 Season 1. - All GT3 cars have had their baseline setups adjusted. - Physics re-tool using additional, extensive, and extremely detailed information. Used to re-set the performance baseline for the GT3 class of cars. - Reduced the brightness intensity of the digital display background. - Updates to engine torque, aero performance, drivetrain, and fuel consumption to re-balance against the Audi R8 LMS GT3. - Updates to masses and inertias, aero performance, drivetrain, and fuel consumption to re-balance against the Audi R8 LMS GT3. - Updates to allowable ride heights, aero performance, drivetrain, and fuel consumption to re-balance against the Audi R8 LMS GT3. - Updates to engine torque, aero performance, and drivetrain to re-balance against the Audi R8 LMS GT3. - Fixed an issue with crackles in external engine sounds for this vehicle. Xandreela, Rick Hard et Kronospost aiment votre message. This update is not deployed yet! This is a preview of what's to come! The 2018 Season 2 Release will be deployed on Tuesday, March 6th! This release features a host of new content, updates, features, and fixes for the iRacing experience. We hope you have fun out on the track of your choice! Full 2018 Season 2 Release details are below. - Some extensive background system updates have been completed for the iRacing BETA Interface to greatly enhance the speed, responsiveness, and stability of the application. - Fixed Setups are now available when creating Hosted Sessions! - - When making the vehicle selection, you can activate the "Fixed Setup" switch near the top-right corner of the vehicle. - - - This allows you to select or upload the Setups to be used for the Hosted Session. - Spectator Sessions are now available for Official Races! - - Activate the "Show Running Sessions" switch near the top-right in the "Official Races" section of the interface. Then, click on one of the running races, and click the "Watch", "Spot", or "Crew", buttons to start that activity for that session. - - Individual spotter settings and spotter passwords remain in development, and will be coming soon. - An additional "Download" button has been added at the top of the Updater menu screen, so you can start downloads even faster! - Additional indicators for when the iRacing BETA Interface is loading and/or processing information have been added. - The Time Attack Launch screen now features an "Overall" view. - The Time Attack Results screen now always shows your current position at the top, if you have one. - - Click directly on it to jump to your row in the Results table! - The Time Attack Results screen now features "Go to Beginning" and "Go to End" paging buttons. - Improved support for scaling the iRacing BETA Interface. - Improved support for the use of 4K (UHD) monitors. - - If we detect you are using a 4K (UHD) display, you will get a prompt asking if you want to enable 4K Mode. - - - If you ignore the prompt, or if you click "Don't show me this again," you can enable 4K Mode by opening the Settings Menu and clicking "Enable 4K Mode." - The system for painting the Primary Sponsor has been improved. - Fixed an issue where using the Test Drive function for a Race Series during Week 1 would not work correctly. - Fixed the usage of plurals (-s, or -es). - Car Classes can now be selected when creating a hosted race. - - Sessions are still limited to a total of 6 unique cars per session, and car classes can contain from 1 to 6 cars. The car class selections are grouped by the number of cars in the class. - - - Car classes are represented as tabs in the interface, so only the cars for the selected car class are displayed. - - This feature is currently only available on the Classic Membersite, not on the iRacing BETA Interface yet. - You are now able to create and edit your own Custom Car Classes for Hosted Sessions! - - When selecting the "Use Car Classes" Option when creating a Hosted Session, a new link called "Create New Car Class..." is now displayed above the Car Class tabs. This link brings up a dialog where you can enter a name for the Custom Car Class and select a group of cars for that Custom Car Class. For "Rel. Speed" (Relative Speed), there is a suggested value displayed, which is the average of all the selected cars, but any number between 0 and 200 can be used. - - - Rel. Speed values for Car Classes are hidden unless the "Grid Together" option is selected. - - The Car Class dropdowns will now display iRacing's Car Classes as well as any Custom Car Classes you have created. Custom Car Classes will include an asterisk (*) in the name. You can edit your Custom Car Classes by using the "Edit..." link, which is displayed when one of your Custom Car Classes is selected. This will bring up the same dialog used when creating a Custom Car Class. - - By using Custom Car Classes, anything about a Car Class can be changed, although it is not recommended to stray too far from the original purpose of the Car Class. - - Race Results from past races using a Custom Car Class will use the current name of the Custom Car Class that was used, not the name at the time of the event. - An indicator denoting that a final Race event is Official (Ranked) or Unofficial (Unranked) has been restored to the Session screen and its Info page. - Some updates have been made to the debris throwing system. - - The physics for debris now utilize a new collision system. This should eliminate the ability for thrown particles to slip through walls, making their build-up more accurate. - Dirt heights across all areas of the track now allow for a greater possible range of dirt amounts. - - This will allow for both a greater build-up of dirt on the track, and allow for deeper digging-down of the dirt surface. - Dirt cushion modeling has been greatly improved. - - This is a pretty big change to how dirt ovals behave as the tracks are worn in. With this update, the cornering force from the cushion and increased banking that naturally develops should be noticeably greater, and the outside should be faster as a result. - The mean starting usage state for Dirt Oval Heat Races has been increased, and the variance of this value has also been increased slightly. - The starting area for Rallycross tracks is now well defined for Race Control. - - The F3 Black Box now correctly sorts the cars on the starting grid. - The F3 Black Box is now aware of the starting area and the Joker Lap area when computing the time delta, and displaying information. - - Cars on the race path are always displayed as normal. - - Cars on the starting area are always dimmed, like cars in pit lane. - - Cars on the optional path(s) always have a cyan background color across their row. - The gained time rule can now deal with the Joker Lap, and should correctly maintain and track your yield status regardless of what path combination you take. - Race Lines have been adjusted on some Rallycross configurations to improve accuracy. - Excessive post-race penalty time is now converted to post-race lap penalties. - Fixed an issue where ghost effects and skids were showing up from other cars during these sessions. - iRating exchanges are now possible in scheduled driver-swap races. The Info tab on the Session screen will indicate whether or not iRating will be impacted by this particular team racing event. iRating exchanges in driver swap races are being enabled as of the deployment of 2018 Season 2 during the 13th week. - Hybrid system can no longer be deployed while pit speed limiter is active. - The Sim should now make better estimates for controller calibration when initially starting up the Simulation. - Joystick calibration routine has been adjusted to reduce the likelihood of a noisy joystick axis getting detected. - Improved the ability to map a multiple button press trigger to a single control response. - Support for mapping actions to buttons that are permanently held down (for example a position switch that simulates pressing and holding a button), has been added. - - When mapping button controls, iRacing would normally watch for the "button release" event before mapping that input to the action. But in this case a user can hit "Enter" when mapping the control to accept the held-button (or switch position) in its current location. - Markers have been added to the driving control interface elements to indicate if you are dragging your brake or clutch. Markers will light up if there is any input at all on a control. - A new switch has been added to the [SPCC] section of the "app.ini" file, called "carLowHiAtStart"
- - carLowHiAtStart=1 = Spotter "Car Low / High" calls are enabled as soon as you get the green. - Hand-over-hand steering animations have now been completed for all cars! - - We have fully implemented driver hand animations for all iRacing vehicles. - The pit crew members' running routes have been adjusted slightly to minimize clipping through larger vehicles. - The pit crew members with a war wagon should now appear correctly on loaded replays. - Fixed an issue where the animated pit stop was not appearing correctly with team swaps. - Fixed an issue where the level-of-detail distances for some pit crew members was causing them to lose their heads. - Fixed an issue where the pit stop could break when driving in backwards. - All opponent-controlled vehicles will now have their actual gear and RPMs displayed in their cockpits. - A new system has been created and implemented for crowds at all tracks! - - The folks in the stands should now appear more realistic than before. - Fixed an issue where some tires were showing up as white-wall or chrome-wall. - Performance improvements have been made to the mechanism used to prepare the replay world for playback. - - This change will be most noticeable when skipping around in a replay, getting out of the car in the Sim, and playing through a session change within a replay. The effect on the Skew (S) bar during these operations should now be greatly diminished. - The video capture API has been updated. - The file format, ".MP4" is now the default file format for the video capture system. - The old telemetry session string will now clear when launching a new session via the iRacing Beta Interface. - Support has been added for LED rev lights on the new Thrustmaster TS-PC RACER Ferrari Challenge wheel. - The Fanatec Light API version has been updated to 3.2. - - The Audi R18 has been added to the iRacing virtual garage! - - This is a Le Mans Prototype (LMP1-H) race car, and is now available for purchase in the iRacing Store. - The range of toe settings has been expanded so target toe values may be achieved over a larger range of camber settings. - Driver seating position has been moved further back in the car. - - This change also alters the driver viewpoint. - Baseline setup has been adjusted so it can pass Tech with any fuel level. - All users who had purchased this vehicle within the past six months will receive $11.95 in iRacing credits. This is to compensate for the release of the Dallara IR18 so soon after their investment. Thank you for your purchase! - This vehicle has been added to the garage of all users! - - The Dallara DW12 is now considered part of the iRacing default content. - Max Travel of dampers will now always remain positive. - Honda logos have been removed from this vehicle. - - The Dallara IR18 has been added to the iRacing virtual garage! - - This is the new IndyCar, and is now available for purchase in the iRacing Store. - (ALL) - Updated front bumpstop rate curves with more accurate data. - (ALL) - Updated shock lengths and positions using more accurate data. - (ALL) - Adjusted weight and inertia properties. Setups can now be more easily shared across all versions of the dirt late model. - (ALL) - Trimmed nose valence and door skirts in the solid model to more typical lengths and adjusted collision elements accordingly. - (ALL) - Adjusted collision elements in the nose and tail to allow closer racing per member suggestions and feedback. - (ALL) - The driver's view position has been adjusted slightly. - (Limited) - Improved cockpit engine sounds. - Two new iRacing paint schemes have been added to this vehicle. - Garage fuel ranges have been updated to include three settings. - - Highest setting is for Feature races. - (ALL) - Last season's suspension update has been reverted. - (ALL) - Nose wing angle is now adjustable in the garage. - (ALL) - Garage fuel ranges have been updated to include three settings. - (ALL) - Adjusted the collision model of opponent cars. - (ALL) - Removed the ability to make in-car cockpit adjustments to shocks. - - 2018 USAC Rule Book 307-I: "Suspension adjustments by the driver from the cockpit will not be permitted." - Rev limit has been increased from 6200 RPM to 6800 RPM. - - Season setups have been updated accordingly. - Fixed an issue where duplicate hub models were appearing when viewing from inside the cockpit. - This car has been converted to now use PBR shaders. - Fixed an issue where the mirrors were not using the correct aspect ratio. - Hybrid control and deployment have been re-tooled. The existing deployment strategies have been replaced by a single strategy that is track-position aware. Deployment is completely cut when the car speed exceeds a fixed percent of the expected maximum speed on the current straightaway (end-of-straight or EOS speeds). - - There are two user modes: Automatic and Manual Trim. - - - In Automatic mode, the system calculates and applies an offset to the % EOS speed cut parameter that attempts to balance harvested and deployed electrical energy. Per the description, this mode requires no intervention from the driver - you simply get in and drive. - - - In Manual mode, the user specifies a Trim via the MFH knob (1 to 14), in 2% increments from -12% to +14%. Setting 7 applies a 0% trim. -ve offsets cut deployment at lower speeds, resulting in net energy savings while +ve offsets result in deployment cuts at higher speeds, draining the battery. Note that the base %EOS speed cut parameter and expected EOS speeds are generated using ref-line calculations that have been modified to handle hybrid power units (ref-line calcs are used for the driving line display and race control functions like applying track-cutting time penalties in real-time). - MGU-K power is now shown on the digital display. - A Qualifying mode has been added for MGU-K deployment. - Dynamic brake biasing and handling of MGU-K harvesting has been updated. - - The car is now much more stable at brake release, even with very aggressive re-gen setting. - The cure-based degradation and wear-based degradation of the tires has been increased. - - Please evaluate this change over the 7-10 days after release, and please provide us with feedback. If necessary, we will adjust this again before the start of the F1 WCS. - 2018 Season 2 BoP adjustments: -15 kg minimum weight, reduced drag sensitivity for rear wing adjustments at greater than 4 degrees (so higher angles generate less drag), slightly reduced overall aero drag. - Contingency decals have been updated for the 2018 season. - Anti-roll bar stiffness has been increased. - Drivetrain stiffness has been increased. - - The Porsche 919 Hybrid has been added to the iRacing virtual garage! - (Oval) - Track surface grip level has been increased slightly. - Adjusted the audio system for the jet flyover. - - The Dirt Track at Charlotte has been added to the digital landscape of iRacing! - - This dirt oval track is now available for purchase in the iRacing Store. - - - This is a stand-alone track; this is not a new configuration for Charlotte Motor Speedway. - - The Limaland Motorsports Park has been added to the digital landscape of iRacing! - - Pocono Raceway has been significantly updated to a version circa 2016, and includes a re-pave of the track surface. - - The original Pocono Raceway has been re-named "Pocono Raceway - 2011". - - This asphalt oval track is now available for purchase in the iRacing Store. - - - Re-scanned and re-photographed the track. - - - Using that scan, modeled new track geometry from scratch. - - - Created brand new track surface textures for every surface using our latest methods. - - - Upgraded a variety of the most prominent track objects from the old track by re-modeling and re-texturing them to our current art standards. - Ownership of this track will be automatically granted to users who already owned the previous version, Pocono Raceway - 2011. - This track is formerly known as "Pocono Raceway." - - It has been renamed to "Pocono Raceway - 2011" to make room for the upgraded version of the track. - Ownership of this track will be automatically granted to all iRacing users, and it is now considered part of the default iRacing content. - This track is formerly known as "Richmond International Raceway." - - It has been re-branded "Richmond Raceway" to reflect the changes to this track in the real world. - (Dirt) - Fixed a surface type bug on the back stretch of the track. Qu'ils continuent à travailler sur la nouvelle interface en BETA, que j'en ai rien à faire, et que je trouve ça nul pour peu que je l'ai utilisée. Qu'ils ont amélioré la dynamique des ovals en dirt (avec plus de relief et de banking après usure de la piste). Pas trop compris la modification apportée au changement de pilote ? En clair l'irating est pris en compte dans le changement de pilote et cela sera indiqué en course ? Possibilité maintenant de faire des multi-boutons façon macro (Bouton A = Action 1 et Bouton A + Bouton B = Action 2 par exemple). Donc ça c'est cool. On va enfin arrêter de rien voir sur les écrans des voitures des adversaires (fini le rapport R engagé par tous nos adversaires pendant toute la course !). Maintenant on pourra y voir en direct le régime et le rapport engagé. Enfin ! Le système gérant la présence du public autour du circuit a changé avec la possibilité de réglé ça (comme par exemple enlever le public ou ne pas autoriser l'addition de personnes en 3D dans le public). Enfin, sur la MP4-30, il y a un nouveau réglage pour la gestion hybrid : mode automatique ou mode manuel ! Ce qui veut dire que ça sera très certainement le cas sur les LMP1. Ça facilite grandement la tâche pour tout ceux qui avaient peur que les LMP1 soit des usines à gaz difficile à comprendre et à maitriser. J'ai peut être oublié des trucs. C'est un peu vide comme mise à jour je trouve pour le côté road en parlant du reste (autre que les superbes LMP1). Pas de nouveau dégâts, pas d'amélioration importante des sons, pas d'amélioration de l'ambiance des circuits, pas d'animation au stand, pas encore la possibilité de rouler juste de nuit sans transition sur certains circuits... Bref, comme d'habitude, j'en demande trop ! Mais je vais bien m'éclater avec ce LeMans Series je le sens ! his release focuses on fixing issues with our 2018 Season 2 deployment. - - The Test Drive redirect functionality has been updated to include the type of racing. - - When creating a Hosted Session, the Maximum Number of Drivers now includes Shared Grid Stalls as a limit when a Race event is included in the Hosted Session duration. - - After typing in a password for a password-protected Hosted Session, the Enter key will now submit the password for joining. - - Attempting to join a password-protected Hosted Session with an incorrect password will now display an error banner. - - The last used password when creating a password-protected Hosted Session will now display in the interface. - - The last used Car, Track, and Weather, along with all of their parameters, will now automatically populate when creating a new Hosted Session. - - Session data is now fetched more frequently. - - Fixed an issue where Nürburgring Combined was not selectable as a track. - - Fixed an issue where countdown timers would sometimes flash random numbers after a data update. - - Fixed an issue with registration that could cause a user to appear not to register for an event. - - Various minor visual fixes. - Fixed an issue that was causing the "Number of Races" in a given race week within a given Series to not include your most recent races in the count if those races did not modify your Championship Points average for the week. - Fixed an issue that was causing the incorrect team member to be shown driving the team's car. - Fixed an issue with displaying Team Results, including Qualifying Results. - Fixed a crashing issue many users reported during the 12 Hours of Sebring event this past weekend. - Fixed a crashing issue that could occur when transitioning between race session types. - Fixed an issue that was causing frame rate stuttering when cars with hybrid engines joined sessions. - The Dirt Oval track grip adjustments for the 2018 Season 2 release have been reverted back to the 2017 Season 4 grip levels. - The starting track usage state for Heat Racing events has been reduced. - Corrected an issue where local clients were not sending the proper dirt height changes to the server, resulting in the dirt areas remaining static throughout the session. - Updated the battery system to optimize how LMP1 cars utilize the available deployment so that all of the energy is used before the end of the lap. This corresponds to the real world racing rules. - The automatic adjustment algorithm has been adjusted to allow it to take larger swings, even if it means the %EOS adjustment increment is greater than 1.0. - The mappable keyboard controls for hybrid deployment modes now support the McLaren MP4-30's three deployment modes. - Fixed an issue where dropdown menus were displaying "??" in the garage during Fixed Setup Races. - Fixed an issue where opponent drivers sharing your pit stall would sometimes appear to stand up in the vehicle. - The Flag-Man will now only disappear when using Low Graphics settings for all tracks. - Fixed an issue where the Dynamic Track system was rendering incorrectly on non-Dirt Oval walls, causing visual abnormalities. - Fixed an issue where the Sim could crash caused by dirt debris particle effects. - Sawtooth curb sounds have been updated. - Adjusted the crowd's facing behavior to better suit the active camera location. - We have temporarily switched the iRacing Video Capture system to "OFF" for all users. There is currently a conflict between the Video Capture API and the Oculus Rift, making the SIM nearly unusable for Oculus Rift users. - - If desired, you can manually re-enable the iRacing Video Capture system if you do not have an Oculus Rift, or are not experiencing any problems. - We've performed some database maintenance and upgrades, and Race Results should now appear slightly quicker than before. - Reduced the increment for target battery state of charge when manually trimming MGU-K deployment. - The F4 Black Box now shows both fuel numbers in liters. - Fixed an issue where windscreen tear-offs were not functioning properly during live pit stops. - Fixed an issue where the suspension cameras were on opposite sides. - Fixed the Rear Diff. tooltip in the Garage so that it now references the correct number of gear ratios (6 instead of 7). - Corrected the tooltip on the trim setting for manual MGU-K deployment. - Fixed an issue with the garage tooltip for the rear anti-roll bar settings. - The drafting scheme for this vehicle has been updated to provide more strength, more downforce loss, and less overall length. - The front wing flap adjustment range now corresponds to front endplate angle and wicker limits. The range of pit stop adjustments for the front flap is also limited in the same manner. - Tire grip has been reduced, most notably at large speedways, with an altered starting cure state to induce fall-off. - Opponent cars will have single front and rear wing flaps at 1 mile ovals and Iowa. - Weight jacker (WJ) information has been replaced with Push-to-Pass information on the digital display while on a road course. - The MPG label on the digital display will now show LPL (Liters of fuel used Per Lap) when metric units is selected via the Options menu. - The proper wheels should now appear on this vehicle in interface images. - Fixed an issue where the damage a driver was seeing on an opponent car did not exactly match the damage the driver of that car actually had. - (ALL) - Nose collision elements have been updated to prevent competitors from "snow-plowing" each other. - Fuel options now use even increments. - Season setup for The Dirt Track at Charlotte has been updated. - (ALL) - Maximum brake torque has been reduced slightly. - (ALL) - All corners now allow between 3-6 compression and 3-9 rebound shock valve adjustments. - (ALL) - Fuel tank center-of-gravity has been adjusted slightly. - Fixed an issue where this car's engine was silent when viewed by external cameras. - Added some missing driver animation. - The tire wear rate has been increased and cure-based degradation has been added. - - Please be aware that because of the increased tire wear, if you try to run very long stints, you run the risk of experiencing tire failures. By this point, tire performance should have dropped off enough that this approach would put you at a strategic disadvantage, but you should nevertheless pre-plan your strategies appropriately. - The adjustment increments have been reduced when manually trimming MGU-K deployment. - Updated the tooltip for the trim increment when manually deploying the MGU-K.
- The MGU-K regen gain setting tooltip now correctly ranges from 1 to 10. - Night mode has been enabled for this track. - Adjusted the text appearance on the tower. - Fixed the light-bulbs in the letter "I" for this track logo on the main grandstands. - Adjusted a scenic camera to fix a crowd issue. - The new pit crew has been hired to work at this track! - Various environment artwork has been updated. - Eliminated an issue with visual popping of the flag-man booth. - Track grip has been increased by 1%. - (North) - Fixed an issue where drivers were erroneously receiving black flags when on pit road. - (North) - A scenic camera set has been added. Joemax et Kronospost aiment cela. This release focuses on fixing issues with our 2018 Season 2 deployment. - Fixed a bug where joining an event during a session transition could get you stuck waiting to join the session indefinitely. - - A bug has been reported, where you get the [Wait] button after connecting to a session, when you really should be able to drive. This seems to occur if you join the event just as it is transitioning from one session to another (P to Q, Q to R, etc). What we believe is happening is that the car-setup that the Sim "proposes" to the server as being your team's setup gets rejected by the server, because the server identifies that the message containing the setup was composed in the "prior" session to what the server is running. But there's nothing in the Sim that will identify that this has happened, and so it never re-proposes the setup again to the server. We've updated the Sim to recognize this situation, and it will re-tech the setup and re-propose it to the server as being the team's car setup. - Fixed an issue where a pacer could lag almost a whole lap back on race starts, so that they are between the leader and the Start/Finish line when the green comes out, and gain a free lap on the field. - Loose dirt on the track surface will no longer contribute to calculating the surface angle of the track. - Several cars have been updated to use direct drive, just like they would in the real world. This means they do not have any gears other than 1st gear. - - These cars no longer have a clutch pedal, or a Neutral gear. - - In real life, these cars have to get push-started or towed to get going, but in the Sim we let the anti-stall clutch aid act like a centrifugal clutch to let you get your car rolling yourself. Also, not having a Reverse gear could get problematic if you end up nose-first into a wall, so we also allow you to still use Reverse in these situations. However, you can only select Reverse if you are stopped with brakes applied, and likewise you can only get back out of Reverse if you are stopped with brakes applied. - For Direct Drive cars, throttle input is now ignored during held-stationary periods (Start Grid, Pitting) in addition to the other usually ignored controls, so drivers can not accidentally drive forward. - Updated the Auto Deployment algorithm. - An offset has been added for manual deployment that allows the player to eliminate any skew in deployment / battery state-of-charge that results from errors in the initial refline calcs. This is included as a Garage parameter on all three hybrid cars. - Fixed an interface issue where the handbrake input value was being displayed on vehicles without a handbrake. - We have temporarily disabled scrape sounds while we investigate why they are triggering for the wrong car(s). - The collision durability of the rear wing has been strengthened to reduce damage. - Increased airflow with 70% and 77% radiator blocking. - Fixed a text issue with the front wicker label for road and short oval tracks. - (ALL) - Fixed an alignment issue between the rear axle and the rear tires on opponent cars. - Fixed an issue with the rear torsion bar. - Fixed an issue where the driver's feet could stick out through the hood of the vehicle. - Fixed an issue with the dynamic brake bias where the system under-corrected for MGU-K regeneration torque when calculating rear brake pressures. - The increment for calculation of in-car manual trims has been increased so the trims cover a wider range of hybrid deployment.